SAN DIEGO (AP) — Manny Machado wasn’t bothered a bit that he went hitless in his first game with the San Diego Padres. The $300 million slugger got a standing ovation as he walked to the plate for the first time with his new team at sold-out Petco Park. The crowd booed when he took a called strike from Madison Bumgarner, and then cheered again even after he struck out on three pitches. The Padres went on to a 2-0 opening win against the San Francisco Giants on Thursday, ushering in a new era in a city desperate for a winner. Fernando Tatis Jr. singled twice in his big league debut and Wil Myers homered for the Padres, who popped above .500 for the first time since June 8, 2015. The Padres signaled their intentions to move beyond the rebuilding stage when they signed Machado to a 10-year contract early in spring training. They then promoted the 20-year-old Tatis, baseball’s top shortstop prospect whose father played in the big leagues for parts of 11 seasons, giving fans some hope after years of futility. The two moves have energized a fan base that hasn’t seen the Padres finish with a winning season since 2010 or make the postseason since 2006. 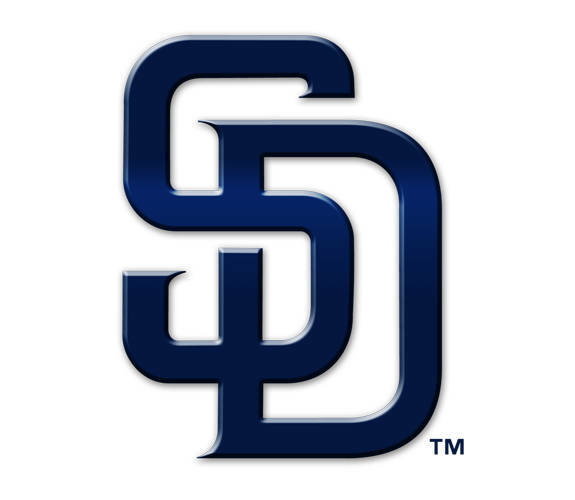 Fans chanted “Let’s Go Padres!” before the first pitch and again as Kirby Yates was retiring the side in the ninth for the save. Myers, who’s been with the Padres since 2015, noticed the big change in atmosphere. Tatis singled to left in his first big league at-bat, bouncing a ball over the glove of diving third baseman Evan Longoria in the second inning. He bunted for a hit his next time up, but was thrown out trying to steal second. Tatis’s parents and siblings traveled from San Pedro de Macoris, Dominican Republic — known as “The Cradle of Shortstops” — for the opener. Tatis’ father couldn’t have been happier. Left-hander Eric Lauer (1-0), a 23-year-old who was on an opening-day roster for the first time, threw six innings of four-hit ball. Bumgarner struck out nine while allowing two runs and five hits in seven innings. Machado has already contributed in the community. While shopping at a Target on Wednesday, he found a woman’s wallet and tracked her down via Instagram. Petco Park organist Bobby Cressey had to bail on the opening day gig because his wife, Debbie, was in labor. Two hours after the game ended, they were still awaiting the arrival of their first child. At 20 years, 85 days, Tatis is the youngest Padres player to play on opening day and the youngest to play in a game since Roberto Alomar in 1988. He is the fifth-youngest Padres player ever.